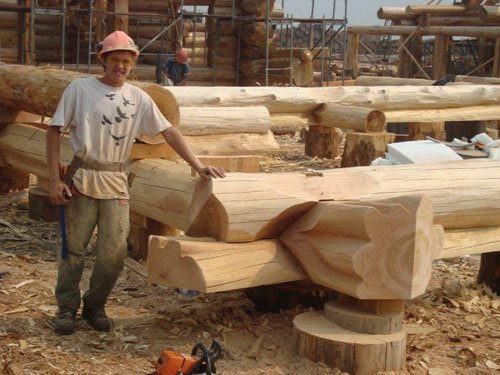 Mountain Log Homes of Colorado, Inc. and Pioneer Log Homes of B.C. announce the expected "Log Raising" of their newest home in the Water Dance Subdivision in Frisco. The home is a 5,200 square foot, Western Red Cedar home designed by Denver architect Brian Higgins of RAW Architecture. The 16"-17" average diameter logs promise to be impressive. The home is expected to ship on five trucks from Canada and should take a crew of five craftsmen and carpenters and a crane operator approximately 4 days to re-assemble. You can watch the progress of the home in our galler here. Please call Mountain Log Homes of Colorado at 970-468-8683 if you would like to watch the home being assembled for directions and parking information.